This Christmas, there is no excuse to wrap gifts in 8,000 tonnes of waste paper. Golden Goose PR client Wrag Wrap Wrag Wrap, creator of sustainable luxury gift wrap, now sells its classic collection exclusively at Selfridges in its new Christmas emporium. Louise Oldridge and Nicky Rajska, creators of Wrag Wrap are personally appearing at Selfridges over the weeks leading up to Christmas to show people how stylish and easy it is to ‘Wrag Wrap’ their gifts. 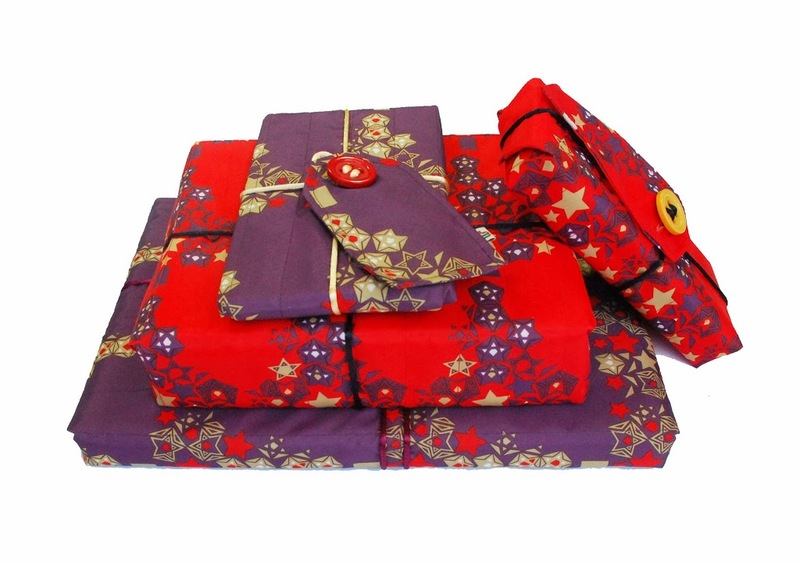 This personal festive wrapping workshop has got to be the ultimate man wrap solution for those who confess that present wrapping is a task that leaves them in a state of confusion. The wonder behind Wrag Wrap – created with recycled plastic bottles – is that each product can be used time and again: given as part of the gift, so that the recipient can use it when they next have a present to give. Selfridges is the first and only London department store where Wrag Wrap will be available this Christmas.